After the premiere of Hell on Earth at the Tribeca Film Festival, an audience member asked filmmakers Sebastian Junger and Nick Quested why they had chosen The Fall of Syria and the Rise of ISIS, as the subtitle has it, as the topic of their documentary. “It’s the greatest tragedy of our generation and we had to address it,” Quested told a crowd Wednesday at Cinépolis Chelsea. In case you needed yet another film festival to bookmark this summer, Nitehawk Cinema has announced the lineup for its third annual summer documentary series. Starting Monday, July 18, Nitehawk will be screening four documentaries which were presented in the Tribeca Film Festival back in April. 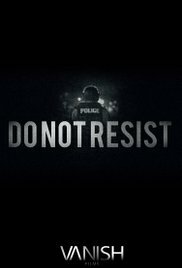 The series starts off straight away with a jury favorite: Do Not Resist won Tribeca’s Best Documentary Feature. Craig Atkinson’s directorial debut focuses on the disconcertingly rapid militarization of the police in the United States– a timely subject if ever there was one. On the 19th, Nitehawk will be screening Jenny Gage’s All This Panic, a coming-of-age story about seven teenage girls in New York. On the 20th, there will be a screening of Maurizio Cattelan: Be Right Back, Maura Axelrod’s portrait of the artist Maurizio Cattelan. All screenings will be followed by a Q&A with the filmmakers and will take place at 7:30pm, at Nitehawk Cinema (136 Metropolitan Avenue between Berry Street and Wythe Avenue).